Many husbands do not pray with their wife. Why? I think it's because (1) they don't know what to say, (2) they are nervous about initiating a prayer, (3) they view their relationship with God as a private matter and not a family matter. But this is one of the most important things you can do as a spiritual leader of your home. If you are unsure how to start, or what to say, here are four tips. Have a regular time to pray. My wife and I pray every night right before going to sleep. 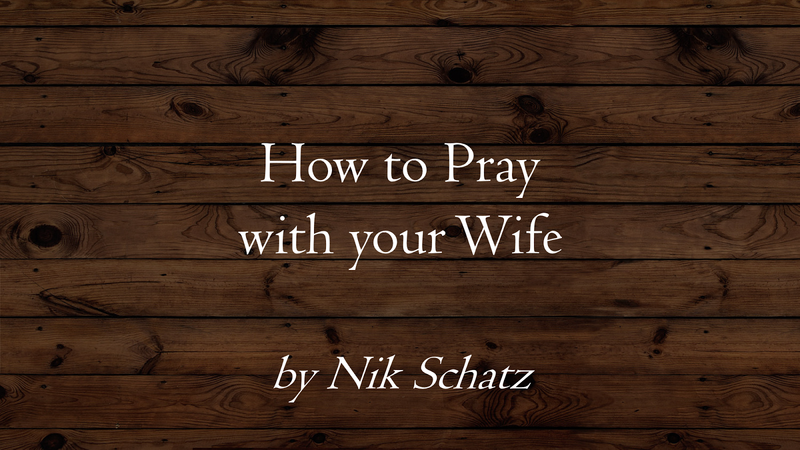 It's difficult to establish a daily habit of praying with your wife, but once you do, it will become second nature. Touch your wife while praying. Hold your wife's hand, embrace her, put your hand on her knee - touch her in some way while you are praying to reaffirm her. Ask if there is anything she would like you to pray about. You may not know of some things going on with her at work or at home, or some things she is secretly worried about. Just ask, and she'll tell you! Pray! There are four things you should specifically pray for every time you and your spouse pray (see below). What Should I Pray For? Pray not only with your wife, but also for your wife. Pray for her to have wisdom, be protected, to excel at work, to become a better woman, to flourish in all areas of her life. Let her hear you pray for her in very specific ways. Pray for your children and grandchildren, or your future family. Ask God to mold your children's hearts, ask Him to help you form good character qualities in them, and ask for wisdom and discretion in your parenting. Pray for specific things going on in your marriage and family right now. That's it - it's that simple! 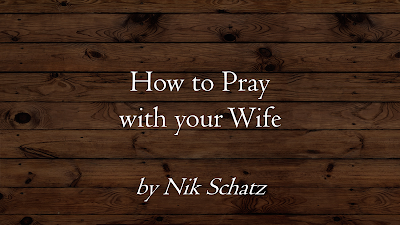 Just start praying with your wife every day, no matter how awkward or forced it may seem at first. After a few short weeks, it will become second nature, and your wife will love you taking the spiritual lead!